 The location of Bayfordbury Campus was chosen because it is secluded and relatively free from light pollution, essential for the Observatory. However, this can make us a little hard to find. The local area map shows Bayfordbury's location relative to Hatfield, Hertford and surrounding major roads. Bayfordbury Campus is situated in the Hertfordshire countryside a few miles South of Hertford and is accessed from the B158. The entrance road to the site is located off the B158, at a crossroad with St. Mary's Lane. 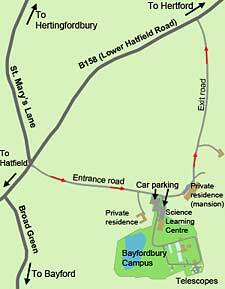 Shortly before reaching the mansion, turn right into the Bayfordbury Campus where ample parking is available. Make your way to the Bayfordbury Science Building reception where staff will greet you. Please do not drive or walk up to the Observatory itself as there is limited parking, and there may be no staff there to meet you.